Think trout-think Stetson's is more than just a motto, it's a way of life! First-class, Great, Awesome, World Class; however you say it, the White River and Stetson's Resort are it. 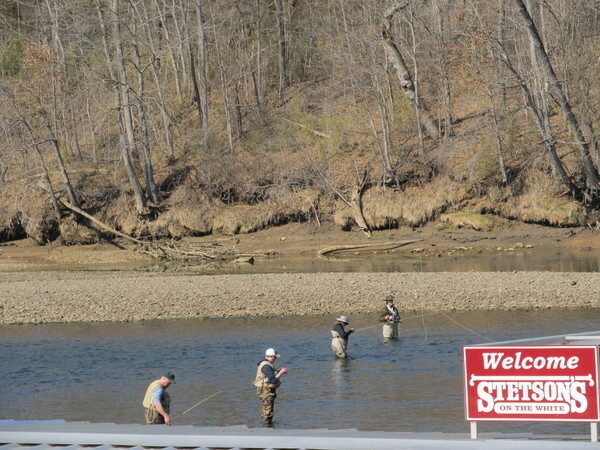 Enjoy Arkansas's best trout fishing year round on the White River when you vacation at Stetson's Resort on the White. You can enjoy a quiet morning casting your line into the river’s steady current or set out with one of our renowned guides. 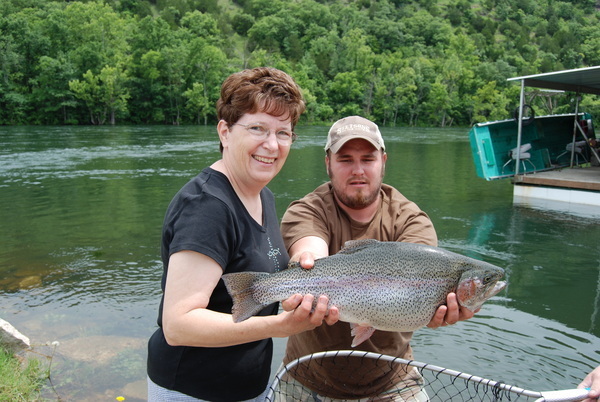 Our cabins put you right on the river, so you can start fishing without delay. Stetson's renowned guides give our guests an edge on their fishing trips. 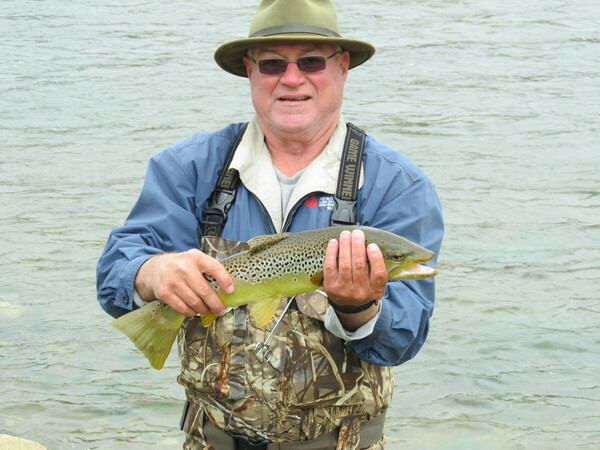 In fact, two of our guests found a perfect fishing spot on the White River and then caught and released a 20-pound 2-ounce, 33-inch German Brown Trout. And that's just one story. The White River has a nationwide reputation for being one of the world's best trout waters for catching world-record German browns, rainbows, cutthroat, and brookies. What will you catch at Stetson's? Sitting on your patio or deck enjoying the scenic beauty, fresh clean air and clear flowing water will truly overwhelm you. Corporate Groups, Family Retreats or a quiet get-away, await you. From the most expert guided fishing trips, to bank fishing, wade fishing or fly fishing, we have it all. We know that when you think trout, you truly will think Stetson's On The White! Interested in fishing with our expert experienced guides? 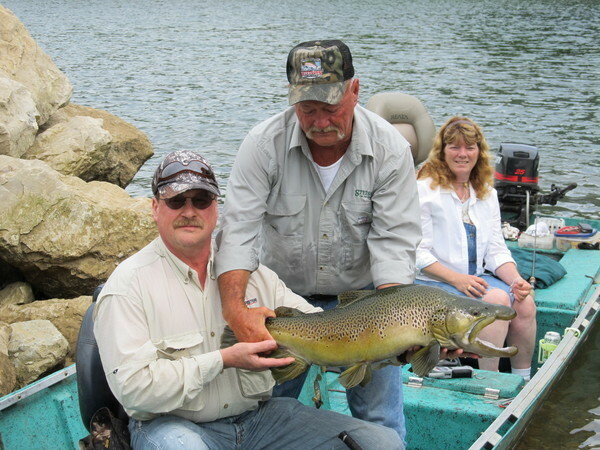 Check out our White River guided fishing trips. 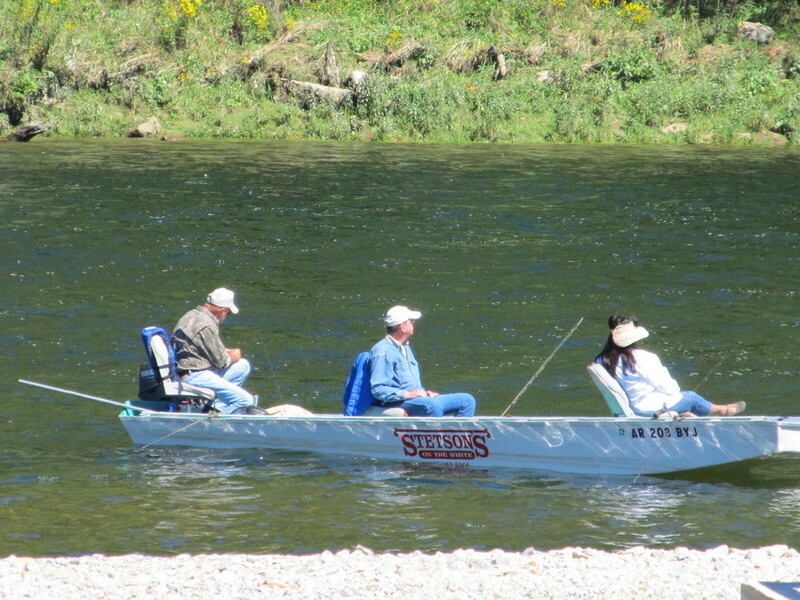 RENTAL BOATS: We have river fishing boats available for rental. See our Rates page for prices and information. Reservations are not required at time of booking, but suggested. PERSONAL BOATS: We have a concrete boat ramp available for use by registered Stetson's Resort guests only. Hours for boat ramp/dock are 7 a.m. to 5 p.m. daily. **Winter hours are 8 am to 4 pm. Dock/Ramp closes at 4 pm. You will need to check with the Office to determine what hours apply. Please note that there is no dock space available for rent. FISHING LICENSES: Due to a new online licensing progam by AGFC, we no longer sell fishing licenses or trout permits. Please visit AGFC.com before arriving to obtain your license. If you have any questions about your boat and use on the river please call our office for information. VIEW WHITE RIVER WATER LEVELS HERE! SEE A QUICK STETSONS FISHING VIDEO HERE!